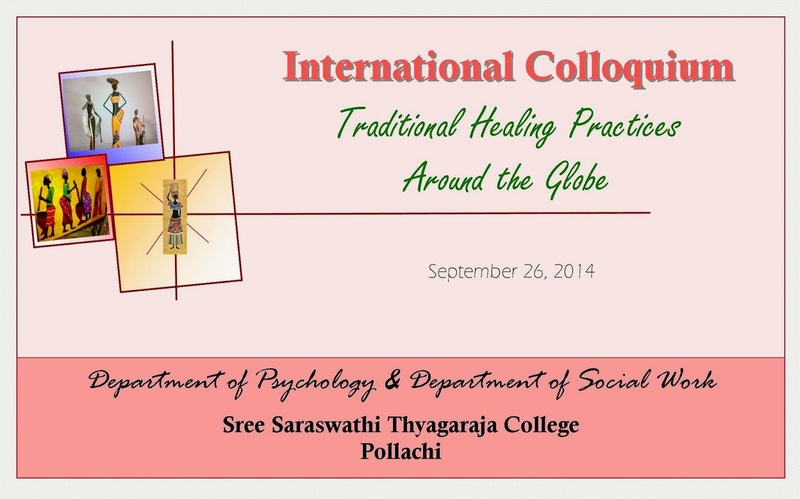 Department of Psychology and PG department of Social Work jointly organise Colloquium on Traditional Healing around the Globe. 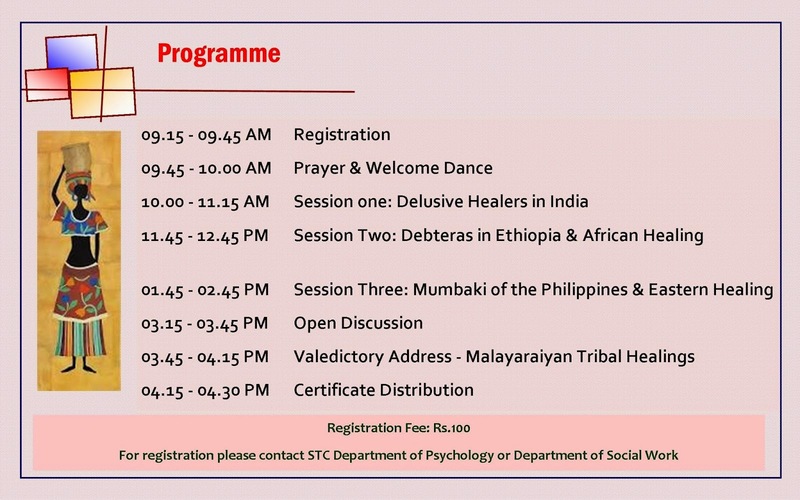 We have four special lectures and the colloquium will focus on Delusive Healers in India , Malayaraiyan Tribal Healers, Ethiopian healing and the healers in the Cordillera Mountains Philippines. We expect psychology and MSW and other allied student participants with a registration fee of Rs.100.